The time came for me to color my hair again. 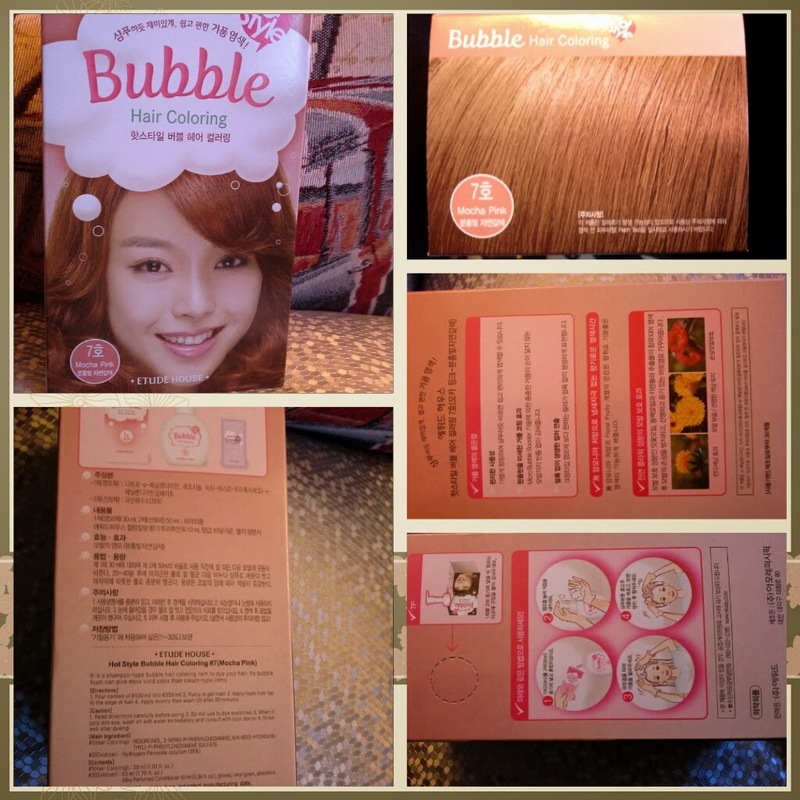 This time, I used Etude's House Bubble hair coloing in color number 7 "Mocha Pink". It's very easy to create the foam: you pour the hair colouring liquid into the bottle, screw the pump on tight and tilt the bottle (do not shake it) from left to right a few times. You'll notice when it's ready, cause you won't hear the liquid moving once it's foamed up. The foam was pretty thick, all the way to the end. Like every foam hair color, it was very easy to apply and cover all of my hair with it. It also covered white hairs perfectly. This dye had no punjent smell and my scalp did not itch at all, and it did not flake afterwards. It was a lovely color, though not the one you would expect by the name and the pictures on the box. It was ligther and more on the blondy side than I expected. I did not like the aftertreatment though. 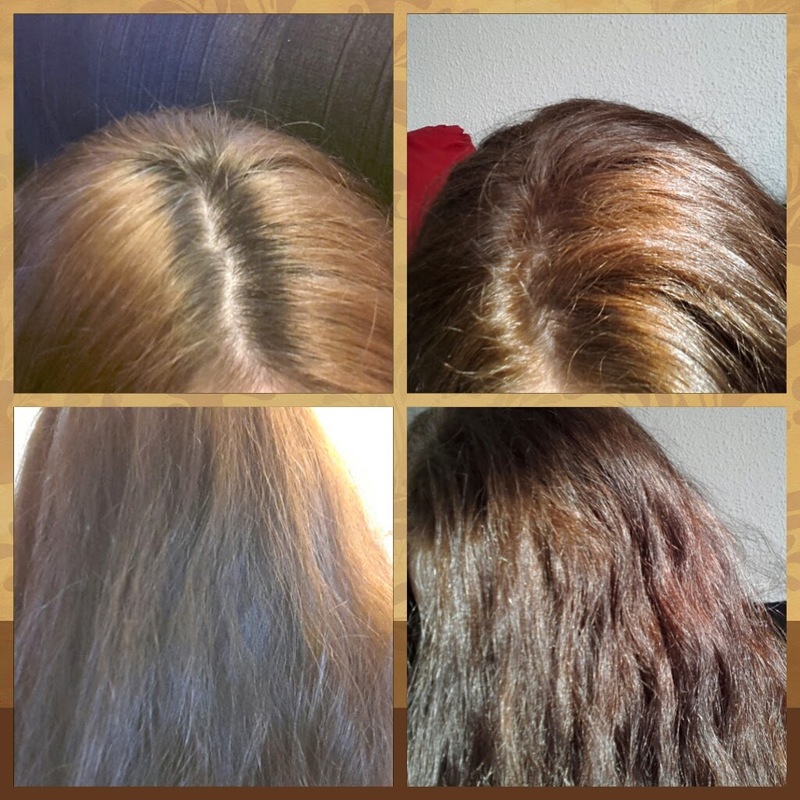 I felt it was not as moisturizing and repairing as other aftertreatments that come with other hair dyes. After 6 weeks it faded a bit and turned blondier but even so, it was still a lovely color and looked very natural. I bought this hair dye on sale in Seoul, but I've found it on eBay for about 6€ so, given the price and quality, I'll provably buy this hair dye again. And I might try another color, if I feel venturous enough. Have you tried this or another foam hair dye? If so, what did you think of it?